The Mission of Our Team Is To Become Your Lifelong Real Estate Partner! Linda Rehwalt’s goal is to guide people through one of the most important decisions of their lives – buying or selling a home. Her compassion and ability to listen, coupled with her keen business and marketing talents have made her one of the Phoenix area’s top Realtors®. Linda does a lot more than just guide clients through the process. She gives them access to a team of experts – The Rehwalt Group – who manage every detail of a transaction smoothly and professionally. She offers them the benefits of the latest real estate technology and gives them access to her own knowledge, superior negotiation skills and client care. 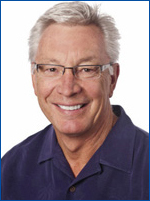 Bill serves as Linda’s Listing Manager and will be that helpful voice and “your first impression” when you list. 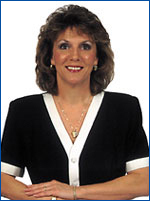 Linda has developed a detailed internet based system to get your house on the market and ready for sale. Client feedback is an integral part of Linda’s listing philosophy which includes showing agent feedback and bi-weekly reports of what is being done for you including a tailored market analysis for your home. Bill also works as your Buyer’s Agent to find “your dream home”. Being part of a top real estate team, Bill can work with you on your schedule ensuring you won’t miss that special home when it comes to market. Once under contract Donna becomes your personal closing concierge assisting you with all the details of your closing turning a potentially stressful period into a delightful one. Donna operates from a detailed checklist ensuring all your time sensitive actions are met, keeping you updated along the way. From contract to closing, Donna serves you and your best interests.